Did you know that over 600 million pounds of candy are sold during the week of Halloween with October 28th being the highest selling day? 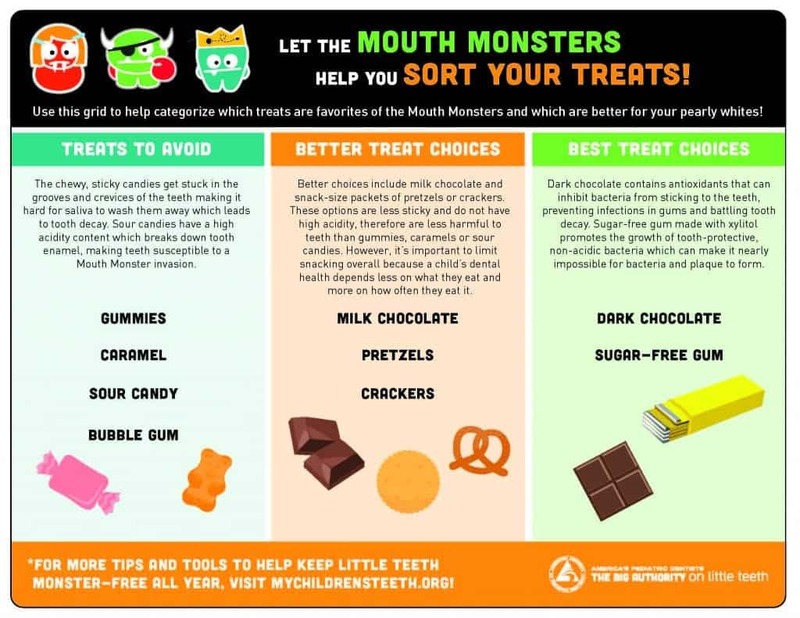 We all love this holiday, but there are ways to celebrate and keep those trick-or-treaters happy without the risk of tooth decay! 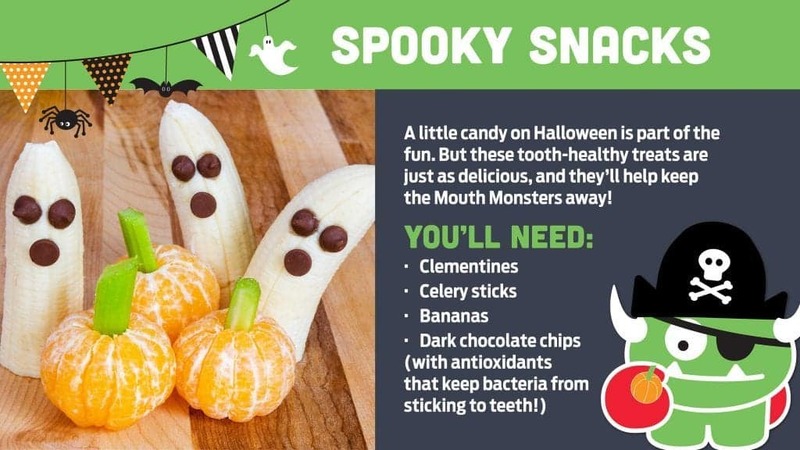 ~ for those afraid of the dark or who just enjoy lighting up the night, receiving light up glow sticks, bracelets or necklaces are fun and help parents keep track of their little ghouls. ~ small bottles of water to quench the thirst from hauling around heavy costumes and rinse away sugary treats they might be snacking on between houses. ~ sugar free gum ~ after treats stimulates the saliva which helps prevent cavities. 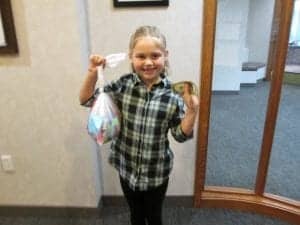 ~ small trinkets from dollar stores such as bouncy balls, spider rings and mini slinkies last for fun after the candy is gone. ~ stickers, stamps and temporary tattoos also add to lasting fun. If you must stick with tradition and hand out candy, it is best to go with plain chocolate. It rinses off the teeth more easily than sticky, gummy candy. Dark chocolate even has fiber and antioxidants that can stop bacteria from sticking to teeth. dollars. 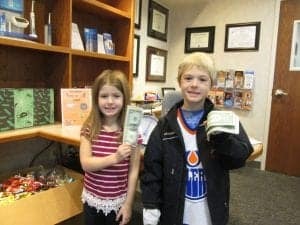 Last year we collected 374.3 pounds of candy for Operation Shoebox who sends it on to the troops overseas. 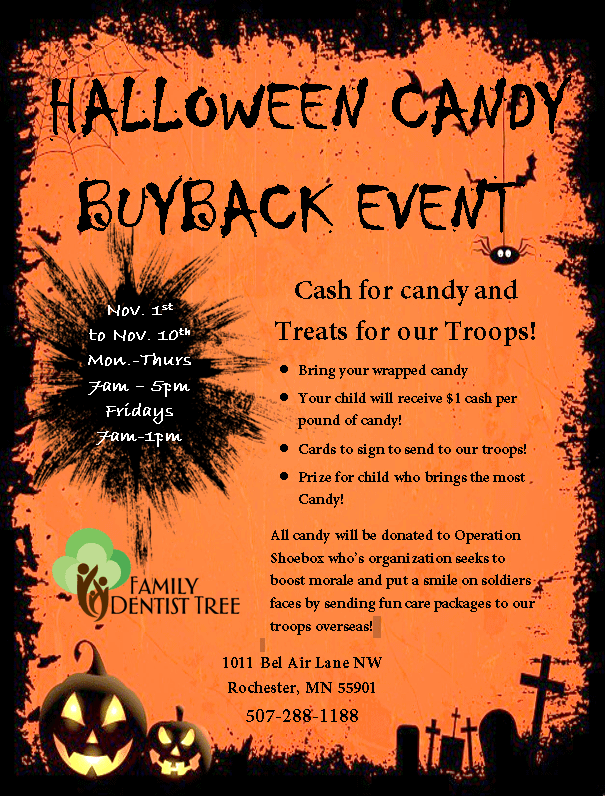 Besides the joy of knowing those back home are thinking of them, the troops hand out most of the candy to children as a sign of goodwill.